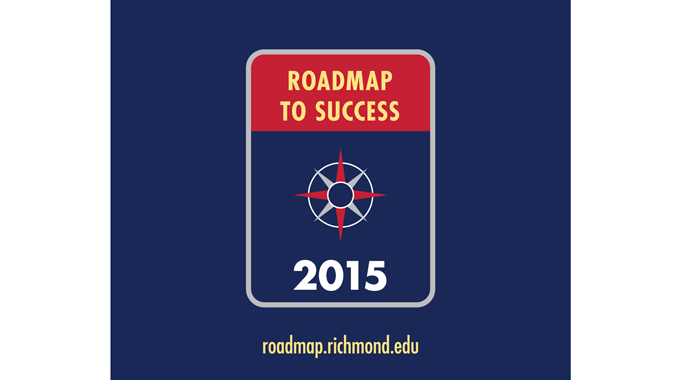 The University of Richmond Roadmap to Success is a pre-semester experience that allows first-year students to move in to their residence halls early and make connections with faculty and fellow students to best prepare to navigate the academic and social transition to college. In the summer of 2015, a comprehensive campaign was developed for the program, giving it a unique look while remaining consistent with university brand and style. Produced collaboratively with the university’s central communications office, services for this project included research, key message and content development and graphic design. The campaign includes a tagline, graphic elements, colors and fonts to be utilized across a variety of mediums.